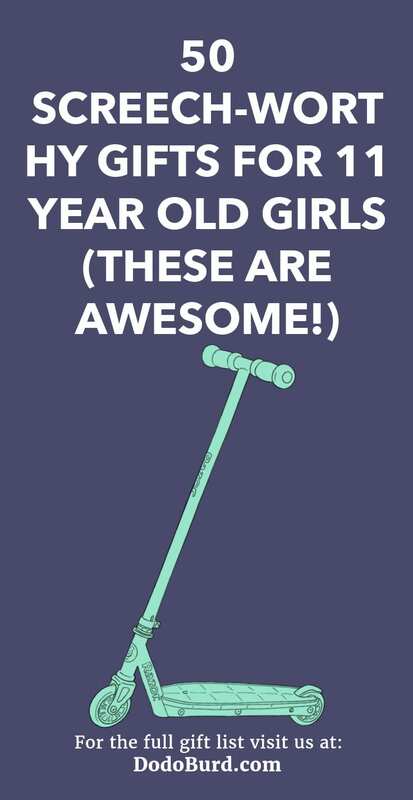 Choose perfect gifts for 11 year old girls by using this list as your own personal gift guide. We’ve hunted high and low for amazing presents for the 11 year old you know. Whether it’s a birthday or another special occasion, she’s bound to love whichever item you choose for her. Our kids love playing outside with their friends in the neighborhood on their bikes and scooters, so give your daughter something a bit different to everyone else with this vintage inspired electronic scooter. It can reach speeds of 15mph and the fully charged battery will run for 10 miles. Love it or hate it, technology is here to stay. Instead of fighting it, embrace it and use it to help your children learn to read, count, and even to give you some peace once in a while. This Fire HD tablet is perfect for small hands and has everything they could need in a tablet. Encourage their artistic skills and teach them about the world at the same time with this color-in duvet. It comes with washable pens so they can give the planet their own rainbow touch and then when you wash it, it comes out a blank canvas so they can start all over again. STEM education is very important these days as it incorporates science, technology, engineering and mathematics into one block so your child can see how they’re connected. This robot kit not only shows them how to build it but it’s also programmable via a smartphone app. Slime is so popular at the moment with kids wanting to buy every pot they see at the store. This kit will make non-toxic slime which they can turn into a “slime monster” with some cute googly eyes. Carry on the fun with the illustrated book which is all about monsters from around the world. Nachos and dips are delicious, you can have them with a full Mexican feast or just as an after school snack. This cute Nachosaurus set will turn ordinary nachos into a fun dinosaur snack. The chips make spikes on his back and the dips look as though they’re the dino’s dinner! This personalized gold bracelet would make a great present for a birthday. Made from 14k gold, you can have your special princess’ name engraved on it. She’ll love wearing it and will be able to keep it for years to come, reminding her of this particular birthday. Perfect for crafts or even for marking her school books, this rubber stamp can be personalized with her name so she can claim anything and everything. It’s also super glittery which is ideal for an 11 year old girl who loves anything sparkly. If you’re after gifts for 11 year old girls, a games console might be the perfect present. The Nintendo Switch is a great one to have at the moment as they can carry on their game play after they leave the house. It’s also great for family game night, too! Growing crystals not only creates great house decorations, but it’s a great science lesson, too. This kit has everything needed to grow seven unique crystals and includes a special display case for when they’re fully formed. It’s a perfect introduction to geology for young science enthusiasts. Yahtzee is a great game for your young children – it’s been around for years. This classic game is so simple; simply roll the dice to get winning combinations, but don’t forget to shout your numbers! Ideal for game night, it’s perfect for bringing the whole family together. Encouraging your children to practice their math skills isn’t easy, especially when it’s the weekend or the holidays. This number puzzle game will make math fun; not only does it help with their numbers but it keeps their minds and hands busy, too. All kids love having their faces painted – being able to become a unicorn or dragon is so much fun to them. These non-toxic face paints are a brilliant alternative to the normal ones you get as they’re made from organic ingredients which will be kind to your children’s skin. America is a lovely place to visit and if you’re lucky enough to live there, you’ll want to explore everything this beautiful country has to offer. Put this poster up on your children’s wall and they’ll be able to scratch off every state they’ve been to, revealing the color which is beneath. Adding rainbows to everything instantly makes it more fun. These scratch art notes come with a wooden stylus so you can write anything to whomever you want. The pop of color will catch their eye, and your special messages will never go unread. Something they don’t teach in school is how to manage money, and it’s a vital life skill. This easy to read financial ledger will show your children how to keep track of their money when they earn it through chores, how to add it up, and also keep an eye on their total amount. Science can be fun, but the chemistry experiments your children do in school are often quite dangerous and they have to be super cautious. However, with this kit they can get hands-on and even taste the concoctions they cook up as every ingredient is entirely edible! You’ve probably noticed that knitting has become more popular in recent years but if you don’t want your 11 year old to have needles, this weaving loom is an excellent alternative. Simply weave the yarn around the pegs to create a pretty patterned scarf, or even a throw. Nerf guns definitely aren’t just for boys. Get this one for your daughter so she can join in with her brothers or friends and show them that she’s just as good as they are. This gun has rapid fire so all six darts can be fired fast, each one reaching up to 90 feet! This pretty patterned overnight bag can be used for your daughter when she goes on sleepovers or school trips away. Not only is it beautifully colored but you can personalize it to be monogrammed with her initial so there’s no mistaking whose bag it is, making it an ideal gift for 11 year old girls. The Nintendo 3DS XL is the next console in the DS collection. This system will play the old games but these won’t play in 3D, something the new games will be able to do. It can also take 3D photos and you’re able to connect with friends too, so your daughter can play with everyone she knows. Even though the Harry Potter books and movies were finished a while ago, everyone still goes Potty for Potter. This is an expansion pack for the Hogwarts Battle deck building game, this collection has four more boxes, plus the ability to play as Luna Lovegood, too. Origami is an art all on its own, learning to fold paper into cranes or butterflies takes incredible skill, but what if you could bring them to life? This kit combines this ancient Japanese art with STEM learning, so your kids will soon be animating their paper folded animals. Choosing the right gift for a pre-teen girl isn’t a task for the faint hearted. Go for something different and get her this terrarium kit. Not only will she learn how to grow the plants inside but it also makes a great nightlight for her room as it glows in the dark! Every little girl wants to fly – it’s a stage they all go through. Make her dream come true with these beautiful butterfly wings. They’re made from beautiful upcycled saris so your little girl can play happy, and you’ll feel better knowing you stopped the saris going to the dump. Learning about makeup and beauty products is a part of growing up when you’re female. Whether you’re into it or not, taking care of your skin is important, and this kit will allow your daughter to make her very own all -atural balms which will keep her lips in good condition and won’t be harmful. This is a super fun and incredibly silly game for you to play with your whole family – it’s guaranteed to get some laughs. Take a card from the deck and draw exactly what it says before the timer runs out, but they won’t be ordinary pictures, so expect the unexpected. Perfect for your little gamer girl, the Xbox One is a great console to own. It comes with 1TB storage so she’ll be able to keep all of her game saves in one place. This bundle also comes with a digital download of a new game, plus one Xbox One wireless controller. Playing around with your hair color is part of life, we all do it at some point in our lives, but at 11, you might feel that your daughter is too young for dye. Why not let her experiment with these hair chalks? They’ll easily wash out with shampoo so you won’t need to worry. If you haven’t heard about LOL Surprise dolls, where have you been? The chances are that your daughter has, though, and probably wants every one there is. These surprise balls contain a mystery pet, and each of the 7 layers contains a clue as to which one your child will get. This is the perfect gift for 11 year old girls with creative minds and imaginations. 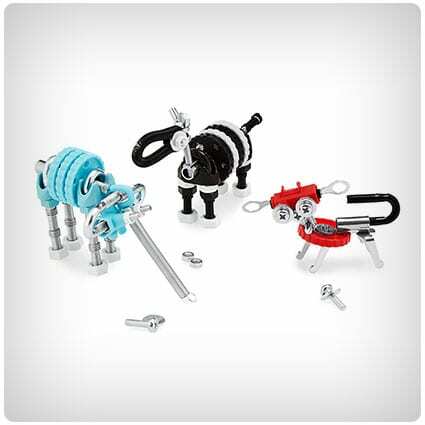 They’ll be able to turn ordinary household items into animals with this kit – the possibilities are endless! Before long your home will be filled with little junk creatures which you have to admit are really quite cute. Unicorns are everywhere – it seems like these mythical creatures have taken over everything and are there, wherever you look. If your daughter has been gripped by this craze, she’ll love this kit which will allow her to build a beautiful 3D unicorn model for her room. 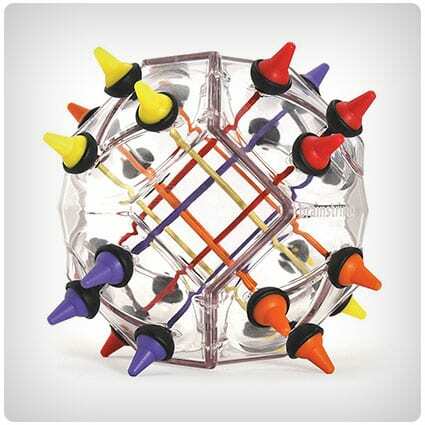 Perfect for keeping their minds (and hands) busy, this brain-teasing puzzle is great for both adults and kids. You have to group the colored buttons together, without getting the cords inside all tangled up. It’s a lot harder than it sounds, why not give it a go? If your daughter is having a birthday party this year, it won’t be complete without a unicorn piñata! With a rainbow mane and tail, golden horn, and a pink heart detail, all you have to do is fill it with her favorite candy then stand back and wait for her to bust it open. If you haven’t played this game yet, you need to try it out. It’s guaranteed to get a lot of laughs and because this is the family version, the kids can get involved, too. Sure, you’ll get a sore mouth but is that from the mouthpiece or from all the laughing you’re going to be doing? Art is something which needs to be practised, and if it’s something your daughter is interested in, encourage it from an early age. 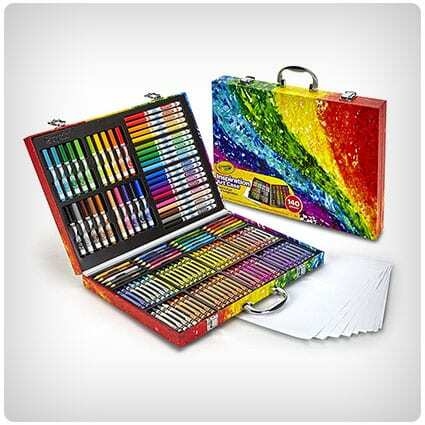 This Crayola set has 140 pieces including crayons, pencils, markers, and even 15 sheets of paper, which can all be stored neatly inside the carry case when not in use. Play Mario Kart like you’ve never played it before, on the Nintendo Switch. Race your friends and family at home or on the go on all your favorite tracks from the Wii U version. Every character has returned to take to the tarmac, including some new ones, too. 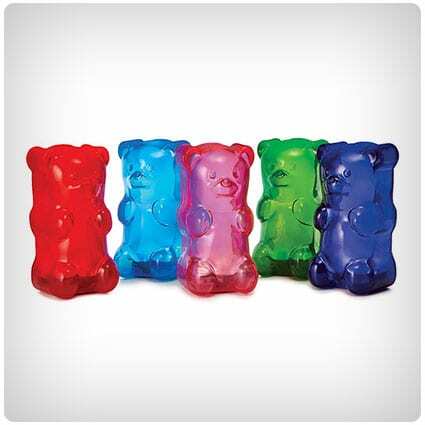 Here is a nightlight with a difference, you might even say it looks rather “sweet”. Choose from 5 different colors, like red or purple, and your daughter will have a cute accessory for her bedroom. All she needs to do is squeeze its tummy to turn the light on and off. Being 11 is a difficult time. You’re trying to figure out the person you want to be and you’re in that awkward stage between being a child and becoming a teenager. 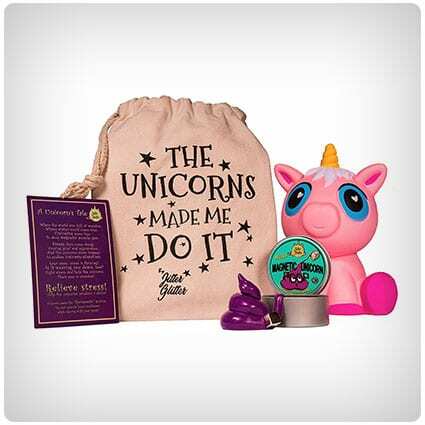 Help her with those built up emotions with this adorable unicorn stress relief kit. Kaleidoscopes are fascinating, the colored patterns they can produce is amazing, but have you ever wondered how they’re made or pondered the science behind them? This kit will show you and your children how to make your very own swirling world of colors with a homemade kaleidoscope. The PlayStation 4 Pro is the next version of the popular PS4. It has a Boost Mode, meaning you can get more from your gameplay, and because of the HDR technology, games will look sharper and more vibrant. If your child likes gaming, this is the console for them. This is the perfect way to get your child interested in something creative. With this kit, she’ll be able to make two magical and mystical yarn unicorns which are super easy to do. Complete with rainbow manes and glittery horns, she’ll display her masterpieces with pride. At 11, your daughter is trying to work out her identity and who she’s growing up to be. 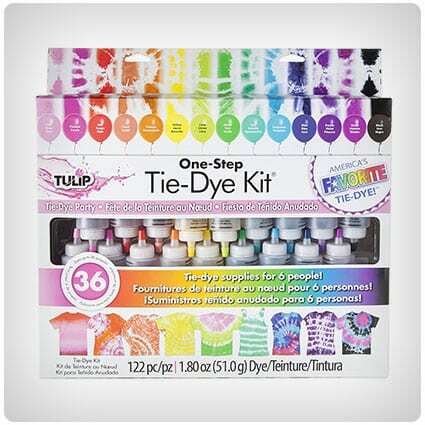 Help her express herself with this set of 18 bottles of dye. Tie dye is a great way to bring new life to old clothes and it’s so much fun to do – watching the patterns emerge is so exciting. Technology is a part of our everyday lives now but have you ever worried about the light they emit? Whether it’s from a TV or tablet, the blue light can be harmful to our eyes, but here’s the solution; these glasses will minimize the exposure your children’s little eyes get. LOL Surprise dolls are a big hit with young girls all around the world at the moment. If your daughter has been gripped by the craze, she’ll love this Confetti Pop Series 3 ball. Inside, she’ll find 8 surprises as well as a doll…will she get an ultra-rare one? We’re always told not to play with our food, but it makes it more fun when we’re allowed to, and if kids find food fun, they’re more likely to eat it. This mug with a hoop is guaranteed to make mealtimes more fun, even if it’s just a simple cup of soup. Educational gifts for 11 year old girls are always a winner. Kanoodle is filled with brain teasing puzzles which will test all areas of her brain as well as making her better at problem solving and thinking logically. There’s over 200 puzzles inside here, so why not see what the fuss is about? We’ve all heard of Sudoku, where you have to fit numbers into the rows without there being a repeated one. Colorku simply replaces the numbers with colors, making it simpler for children. There’s five levels of difficulty so your child can play at whichever level they want to. 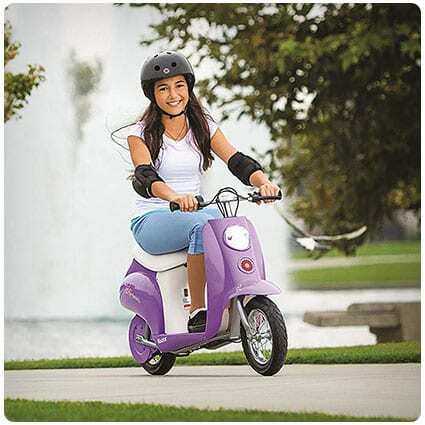 No one will be able to miss your daughter as she whizzes around the streets on this super cool scooter. As well as being super bright and colorful, it also has 12 LED lights on the base so she’ll even be able to scoot around when it’s getting dark. If you’re looking for a board game with a difference, Exploding Kittens is the one you want. It’s the most backed Kickstarter project ever and it’s a great game to play with your kids on family game night. It certainly won’t be boring, and it’ll get plenty of laughs from everyone. The school holidays feel as though they stretch on forever, and we want our children to carry on learning while they’re not at school. Make learning fun with this DIY science kit which they can do at home. Everything inside can be bought cheaply at the store but it’ll buy you hours of fun. Slime is a craze which has developed among our children for an unknown reason, but they all seem to love it! Why not try making some at home using this tutorial from Tatertots and Jello? It’s pretty and pink as well as completely safe…what’s not to love? 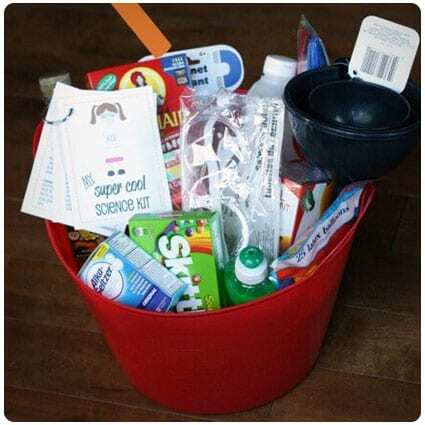 Keep this craft box around the home and your kids will be able to make different pictures and projects whenever they want. It’s such a simple idea, using a tackle box as storage for their craft materials, but you’ll never go back to using drawers again. This tutorial will show you how to make cute bath bombs with your children for a fraction of the cost of store bought ones. There’s so many adorable ideas inside this blog, from Mickey Mouse ones to unicorn ones. And after all your hard work, you can relax in a hot bubble bath. If you’re looking for homemade gifts for 11 year old girls who love unicorns, you’ll be able to make this mystical fleece pillow using the free pattern included in the blog post. She could put them on the sofa or on her bed; there’s nowhere this cute unicorn wouldn’t look at home.